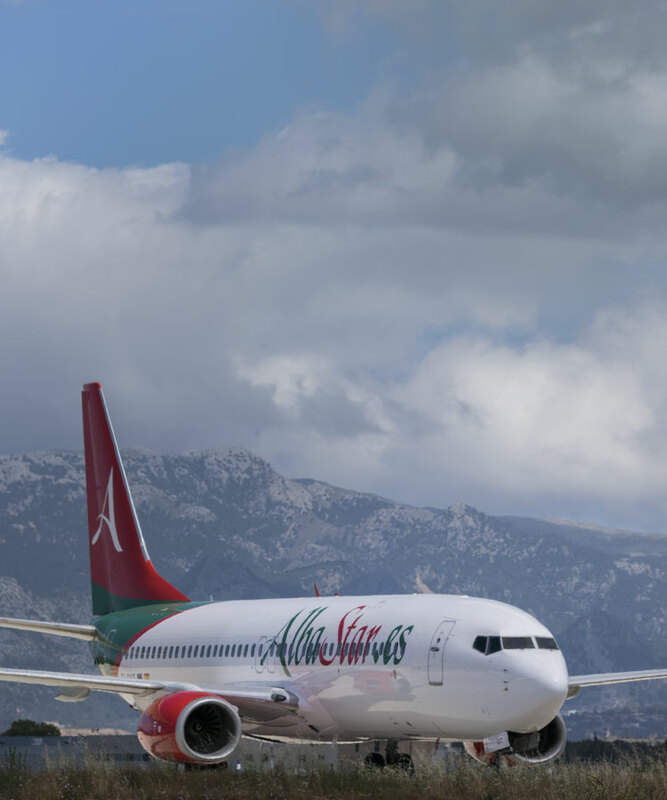 Albastar was founded in 2010 by Italian and British entrepreneurs with the aim of providing on demand flight services in collaboration with major Spanish, Italian and European tour operators. On 30th July 2010, Albastar obtained its Air Operator Certificate (AOC-E-106) and the Commercial Operations licence to transport passengers and cargo. 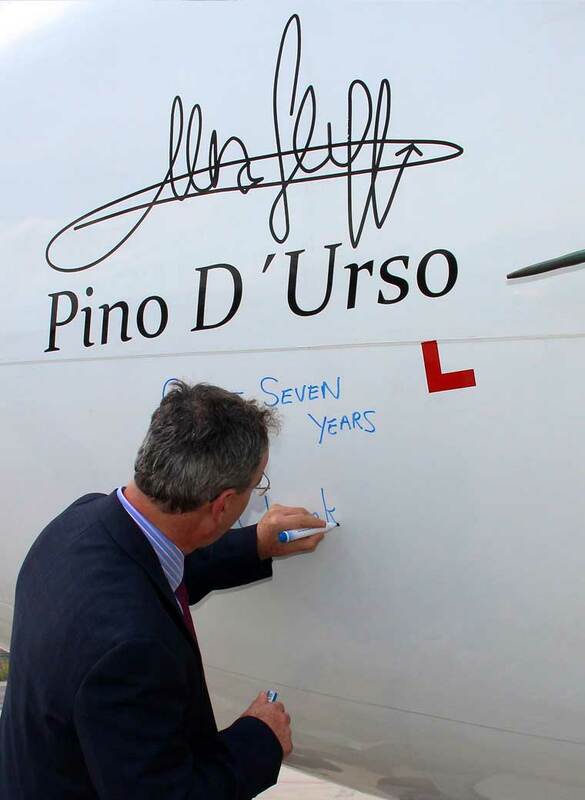 The following day the company’s first aircraft of the fleet, Boeing 737-400 EC-LAV, called “Pino D’Urso”, in honour of the founder of the airline, begins its flying activity. In 2014 the company establishes its operational base at Milan Malpensa Airport. Over the years and thanks to the collaboration with major Tour Operators specialising in pilgrimages and religious trips, Albastar has successfully established itself as the top European carrier for connections to Lourdes, with flights departing from over 45 European airports, and it is precisely from this destination that the airline began its scheduled air services in 2015. 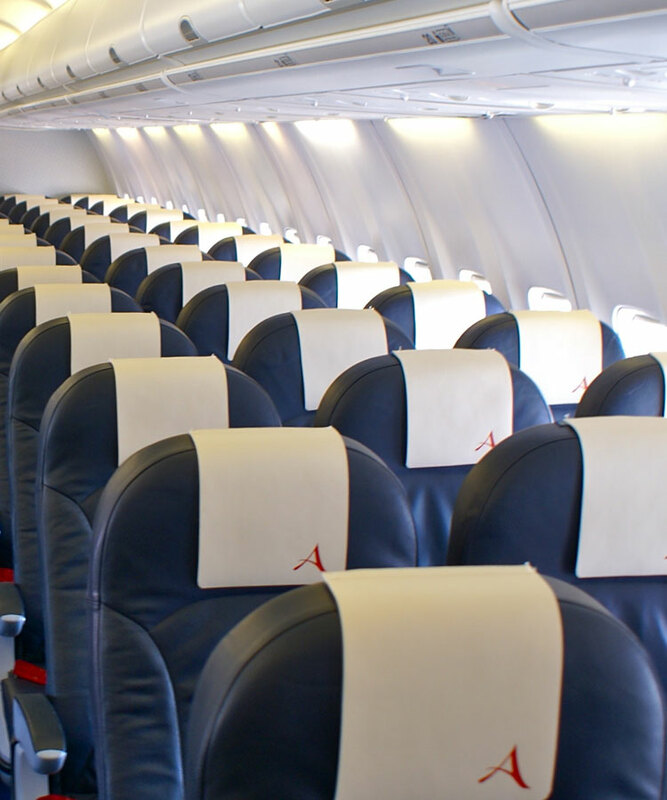 As members of AIRE, the Airlines International Representation in Europe, Albastar is actively involved in making the sector as efficient as possible. 2019 will be an important year for us and for our passengers: we in the final stages of obtaining the IOSA certification (International Operational Safety Audit) issued by the International Air Transport Association: this means that we have reached the highest operational and safety standards in the airline industry. We work to ensure you enjoy the best flying experience every day, this is why Albastar aircrafts respect the strictest and most stringent safety standards required by EASA. Our fleet is reliable, equipped with high-performance technologies so that you can travel comfortably and with complete peace of mind. 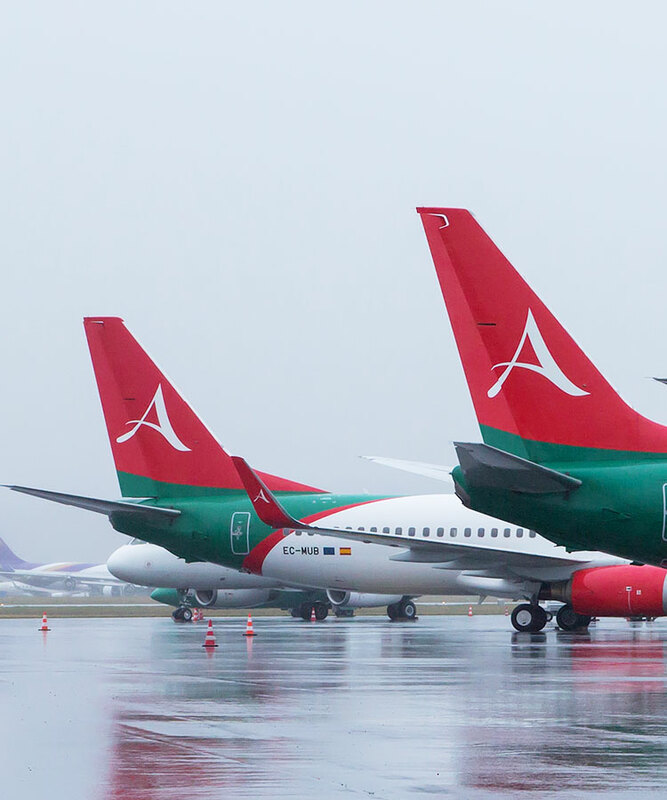 Albastar’s fleet consists of three Boeing 737-800 Next Generation, configured for 189 seats and two Boeing 737-400 Classic, configured for 170 seats in single class. These aircrafts are equipped with technologically advanced engines and systems that are able to reduce the emissions of CO2 in the atmosphere, thus ensuring the maximum respect for the environment in which we live. Growth and innovation are important goals here at Albastar. Our fleet is expanding, as is the number of airports served, companies, tour operators, brokers and customers who choose to fly with us. 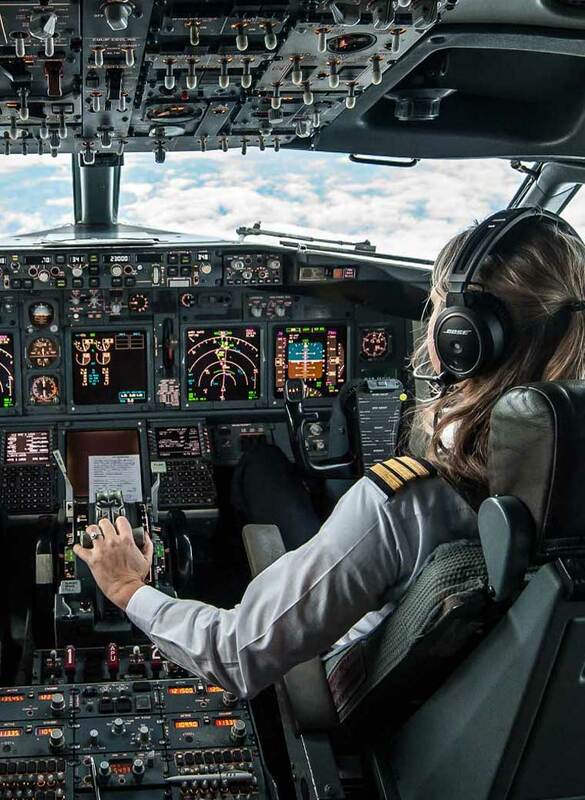 Our philosophy is to offer the most rewarding flying experience to all types of customers, paving the way in terms of innovation and offering high-quality services. 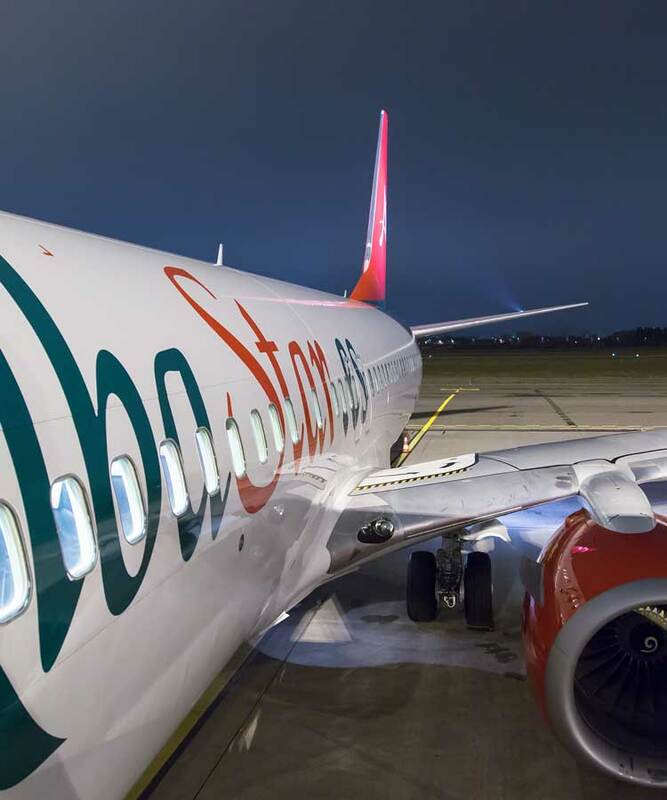 This is because Albastar brings warmth, hospitality, passion and innovation on board its aircrafts and to all its passengers. If your philosophy is the same as ours and if you are ready to take on the challenge, discover our open positions.